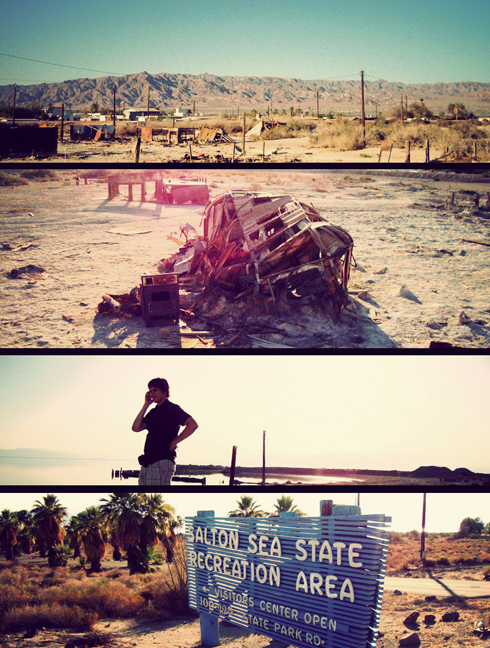 Day Five (08.27.09) I first heard about the Salton Sea and the crazy history surrounding it on a Discovery Channel show in the months when the trip was still just a raw idea. The show mentioned Palm Springs and having familiarized myself with the geography, I quickly learned that Indio was a few short miles from the Salton Sea. 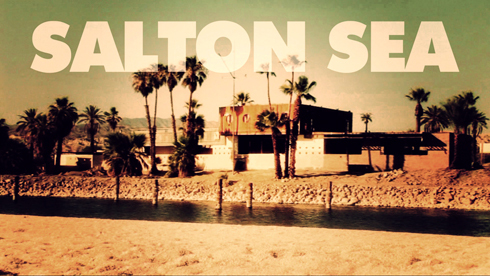 If you've never heard of it before you may be thinking that the Salton Sea is just a giant lake in the desert. In reality, it's a remarkable (if not haunting) story about an accidental man-made lake that in the 1950's seemed to be on the verge of becoming California's riviera. Resorts, marinas, and residential development sprung up all around the lake - things seemed to be booming. What followed over the course of several decades was a continued increase in salt levels of the sea due to no fresh water access. This resulted in massive fish and bird deaths (in the millions) only worsened by the impact of the sea being contaminated by agricultural run-off. The shift started to impact the 'glamour' of the locale as the area gained a unique smell. Several floods also delivered crippling blows, and by the mid-80's much of the 'dream' of what the Salton Sea was intended to be was now in ruin. It was the story and history that really attracted me. To get more of a sense of the impact check out these two great videos. The first is the Discovery Channel clip from No Reservations that initially educated me on the Salton Sea, and the second clip is an original promo for the North Shore Yacht Club - just in the early stages of restoration when we visited - but a site that had been sitting abandoned for well over a decade. Standing on the edge of the sea, the heat was sweltering. Easily reaching 40 degrees celsius, the humidity in the air just stuck to your skin. It was still a beautiful setting, perhaps more so because of my understanding of what this place had once been. I tried to picture a marina full of boats, people water skiing, people coming and going from the yacht club - and here we were now all alone in the desert, that reality a distant past. An abandoned motel had actually stood right next to the yacht club and was just demolished at the end of 2008. The scene was a photographers dream, and I was disappointed when I realized it wouldn't be there - Google Earth was still showing the motel standing. 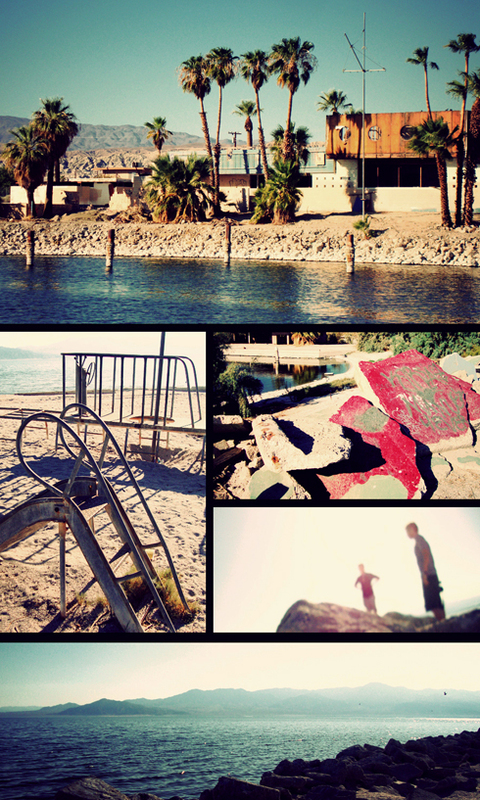 Dave and I headed further south, down the shore to Bombay Beach. Talk about post-apocalyptic. The flood zone is now a scene of rotting buildings and scattered possessions. An old trailer, an Airstream now without it's metal casing, is said to be the most photographed Airstream in the world - I followed suit. If you look it up online you can actually see the trailer over the years, including when the flood zone actually still had water in it. All around us was proof that so much had just been given up. Whether it was residents leaving after the floods, the death of the local tourism, or the environmental toll that was making the area a write-off, it all seemed so sad and wonderfully fascinating. It seems an unfortunate upside, but the decline has actually created a novelty and experience that many travel to see and photograph first hand - just like Dave and I did. It really is a place like no other; a series of stories and plans gone wrong all linked around this suffering body of water. We continued our journey south, passing signs hinting at the approaching Mexican border, hoping to find enlightenment at Salvation Mountain. I'm Awesome! There, I Said It. Yobi Film Top 16! My Movie Needs Your Vote! Made the Top 24! Please Vote! 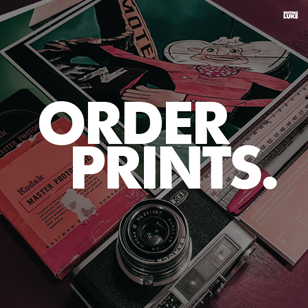 Please Vote - Yobi Film Top 32!